He lay beside the gently whispering stream — murdered! 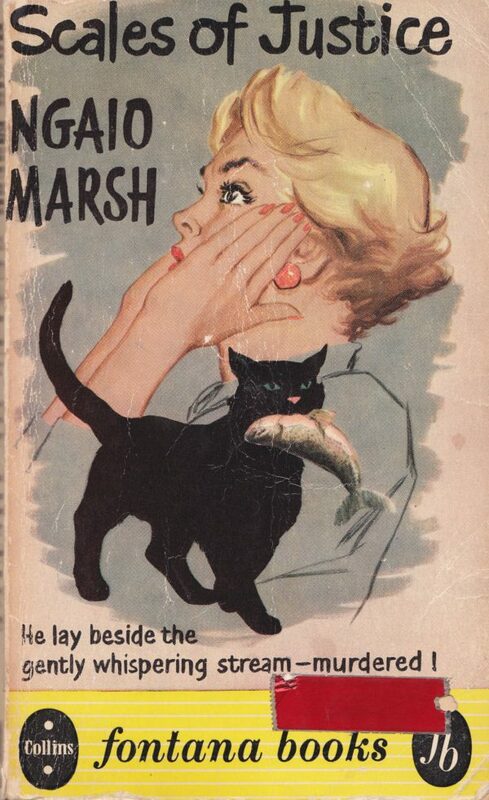 Is this book actually about a fish that was murdered by a cat? We can only assume that it is.